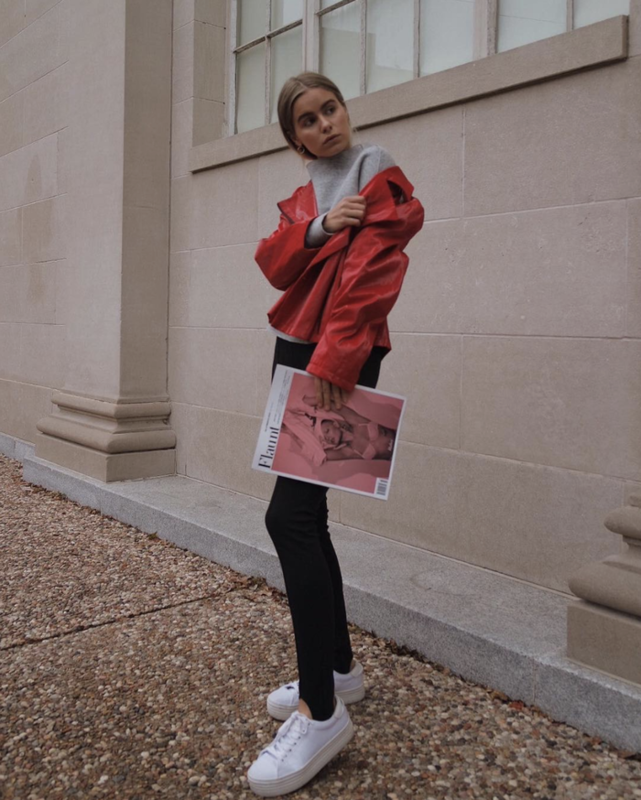 No matter where you stand in the great debate over whether or not leggings can act as a pair of pants, you certainly can’t deny the ease and comfort that come with the athleisure staple. 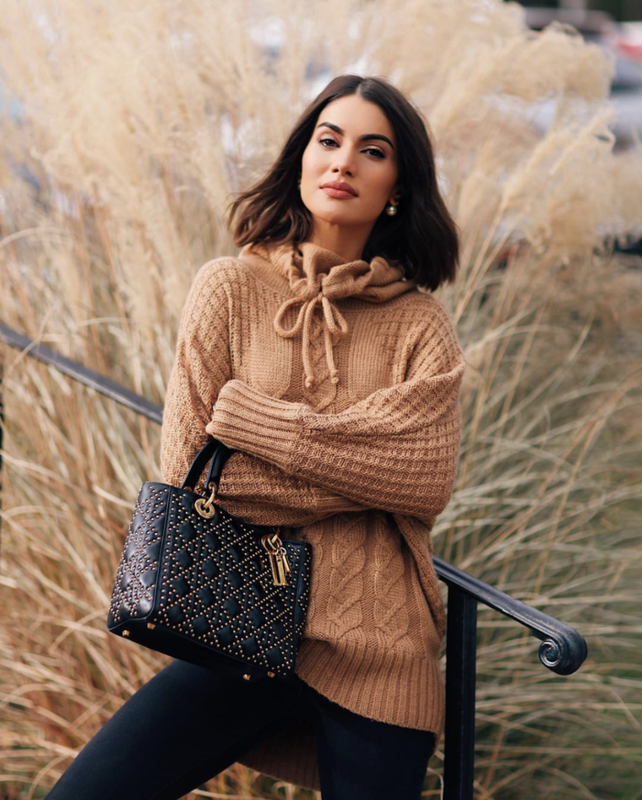 And, as the temperature begins to move down the thermometer, we can’t stop thinking about bundling up in the chic fall sweater-and-leggings outfits that we’ll be wearing every day as soon as the weather deems it appropriate. That being said, when you have an ensemble as effortless as this combination, it’s easy to fall into a style rut and feel a little, well, basic—especially when the primary goal is to stay warm and snug. Not to worry, though. We’re looking to our favorite fashion girls for the coolest ways to sport this classic fall outfit. From switching up your legging style to trying new layering ideas, you’ll look at your sweaters and leggings in a whole new light when you’re done with this story. Try a knit hoodie instead of your standard sweater to give your outfit an athleisure approach. Your hoodie just got so much more polished. You can never have too many pairs of leggings. A chunky turtleneck paired with black leggings will always look good. Who doesn't love a waffle-knit sweater? Don't be afraid to work with stirrup leggings to mix up your legging game. The oversize style is perfect for wearing with leggings. Perfect for tucking into boots. A pair of knee-high boots with a chunky cardigan will make your leggings look so polished. Always say yes to chunky knits. From workouts to brunch, these are good for every activity. Let your patent leggings be the focus of your ensemble, and style them with neutrals. These will get anyone's attention. You'll always look put together with a pair of leather leggings and a sleek wool trench. A pair of leather leggings with a classic crewneck over a button-down will be a chic office-to–happy hour outfit. Wear this every day of fall. You'll love these faux-leather leggings. Layer up some jackets over any of your sweaters for a cool and stylish way to stay warm. If you're planning on keeping it low-key, you can never go wrong with a monochrome outfit for fall. Fall in love with these. A chic turtleneck with leggings and a pair of ankle booties will look great in any setting. This ballet pink is so pretty for fall. For an outfit to wear after a workout, a lace-up sweater will dress up your favorite leggings. We'll always love a lace-up detail. Look chic before, during, and after your workout. If one thing's for sure, it's that these outfits are anything but basic.